What's the new things in extras+info meaning? 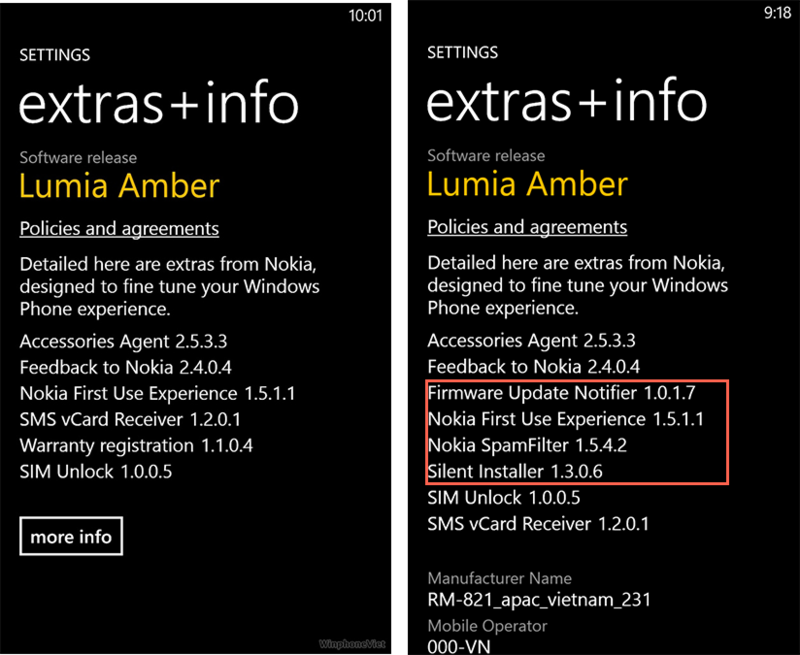 * Firware update notifier: is it possible Nokia going to roll out their own update for the firmware? * Silent Installer: no idea! That's interesting. I have no idea what Silent Installer might be. Usually means without user intervention involving C++ it has nothing to do with the end user. Basically for testing in real time for devs when installing/uninstalling an app they want to test. Does the x2 have Gorilla Glass? How Many Of You Guys Had To Pay The Upgrade Fee From AT&T?